More than a decade ago, I left my hometown of Bray to study abroad for a year in Germany. It was a somewhat terrifying prospect for a 19-year-old who had never lived away from home. As it turned out, it was one of the best years of my life, where I made some amazing friends and had the opportunity to travel to many new places, which sparked the wanderlust I have had ever since. The thing that surprised me most, was the homesickness I had for Bray. Yes, I missed my family, friends and the home comforts I had been accustomed to still living in my childhood house, but my greatest longing was to be back by the sea in Bray. It was around this time, that my lifelong quest to encourage people to visit Bray began. I will rave about the coastal town to anybody who will listen. As a base for exploring the country’s capital city and also for exploring the county of Wicklow, the Garden of Ireland, you can’t go wrong with a stay in Bray. The town was Ireland’s largest seaside resort from the mid 19th Century up until the 1950s, when foreign travel became favoured. The rise in its popularity as a holiday destination is owed in no small part to the vision of engineer William Dargan, who designed and built the Dublin and Kingstown Railway, which extended to Bray in 1854. He envisioned Bray as the Brighton of Ireland and developed Turkish Baths (sadly now long gone) and the Victorian Promenade which still exists to this day. The town has been home to several famous faces in the past, including writers James Joyce and Oscar Wilde, former Irish president Cearbhall O’Dalaigh and musician Bono. 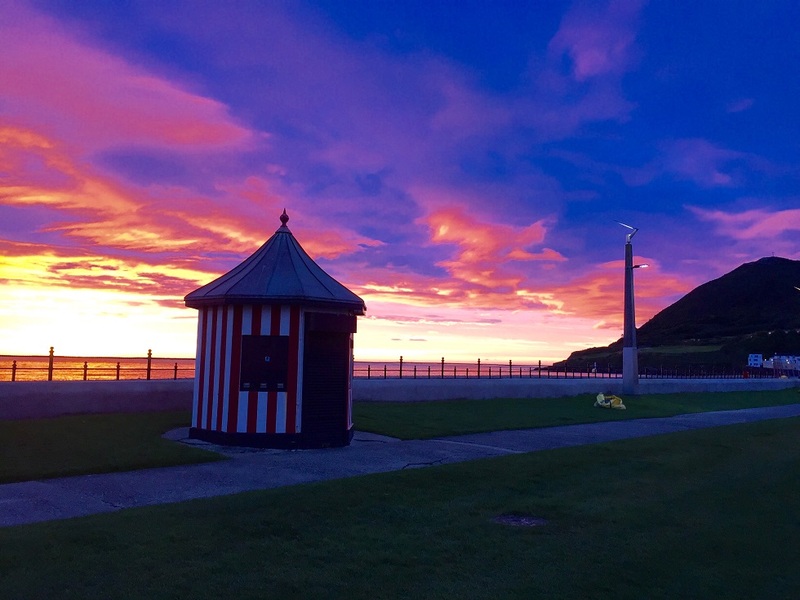 While Bray may no longer be rated as one of the most fashionable resorts in the country, it still has much to offer visitors. As a major suburb of Dublin, the town has great public transport links to the city centre, in the form of the DART commuter train, which runs from Greystones, just south of Bray, through the city centre and all the way to Howth in North Dublin, as well as being served by Dublin Bus. The jewel in the town’s crown is undoubtedly the seafront, with a plethora of bars, restaurants, hotels and guesthouses to choose from. The Martello Hotel is a great base, situated on the Strand Road and offering both hotel rooms and self-catering apartments. If you’re lucky enough to have a room at the front of the hotel, you’ll enjoy great views of the sea and Bray Head to the south. The hotel is only a seven minute walk from the DART station and it’s just a few minutes more to the town centre. 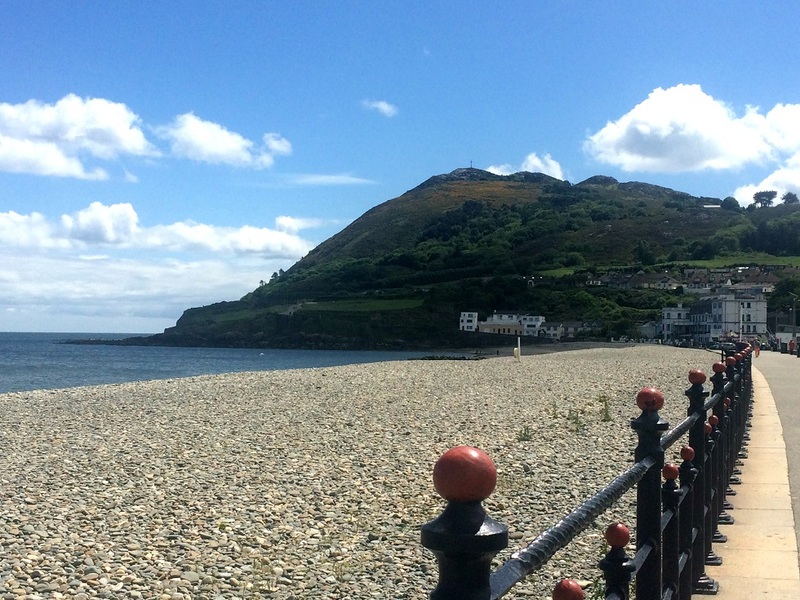 When you’re not commuting in to Dublin, there is plenty to do in Bray. The Cliff Walk is easily the town’s most popular attraction. 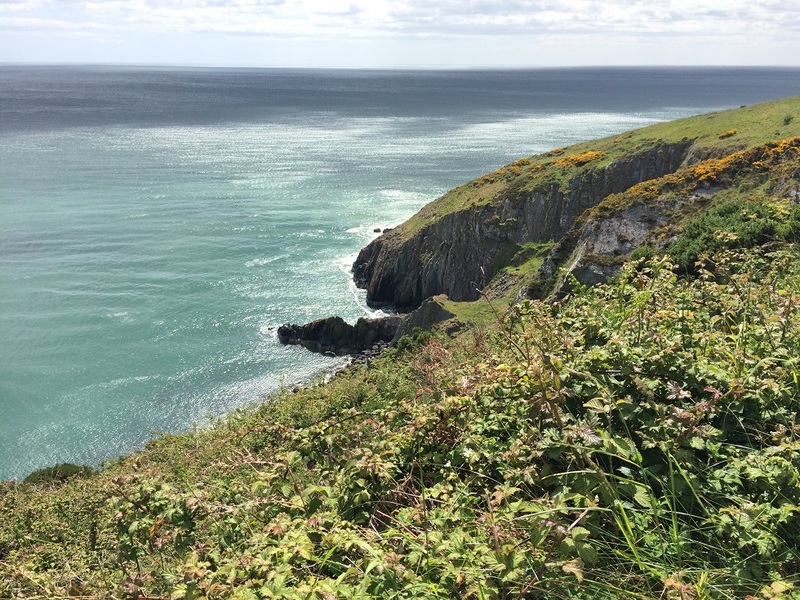 The coastal path is 6.2km (3.8 miles) long, starting near the foot of Bray Head and ending up in Greystones. 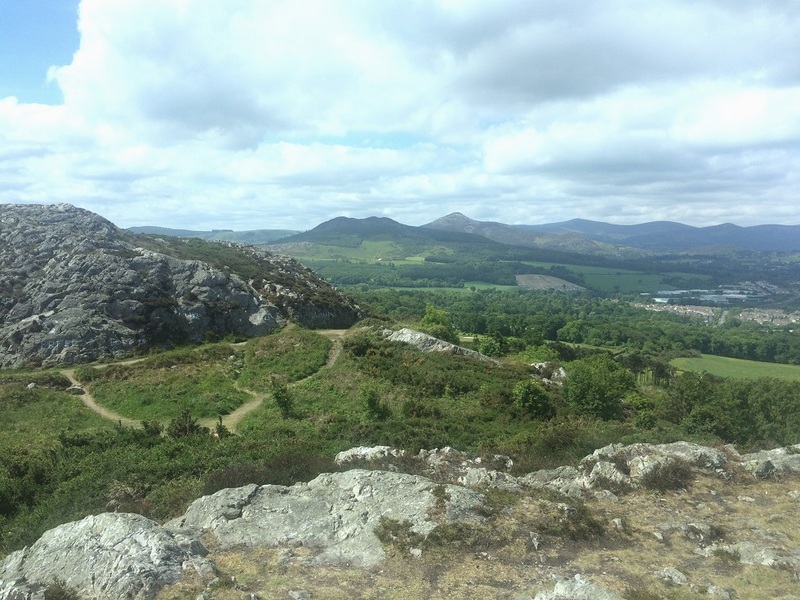 The walk is suitable for all fitness levels as it’s almost entirely flat and the views are fantastic, especially on a clear day. 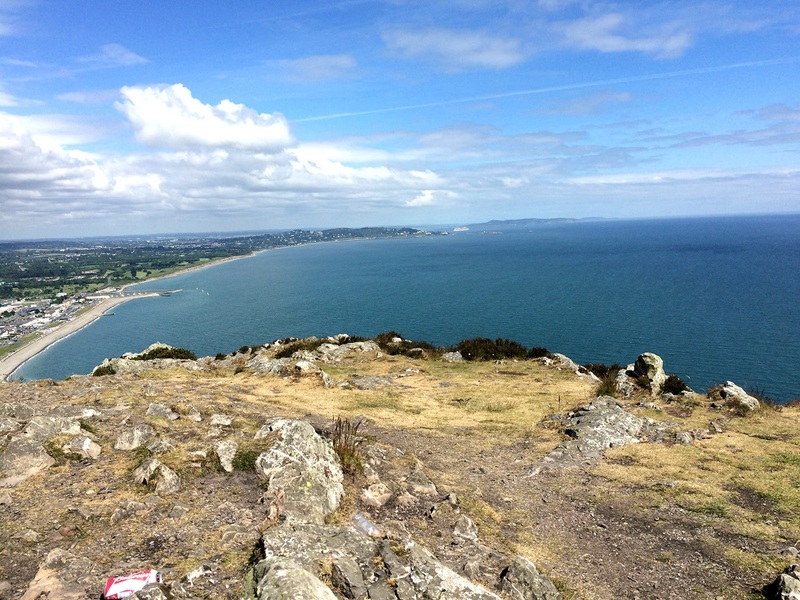 For the best vista, a short climb to the top of Bray Head will afford you with a bird’s-eye view of the entire town, as well as some of the Wicklow and Dublin Mountains. The town is also home to the National Sea Life Centre, an aquarium that houses over 1,000 sea creatures. Children will love the interactive rockpools, where you can touch a starfish and hold a crab. The Mermaid Theatre, on the Main Street, offers a great selection of theatre, comedy, film and workshops to keep both adults and children entertained. There has been a recent influx of top quality eateries in Bray over the past couple of years. My favourite brunch spot is Dockyard No.8, beautifully located right at the harbour on the north end of the beach. With a cosy atmosphere, delicious coffee and eggs benedict to die for, you’ll be hard-pressed to find a better morning dining experience in the town. There is a great variety of lunch and dinner options in Bray, from delectable tapas accompanied by an extensive selection of wine at the Port House Douro to delicious oven baked pizza at Platform Pizza. 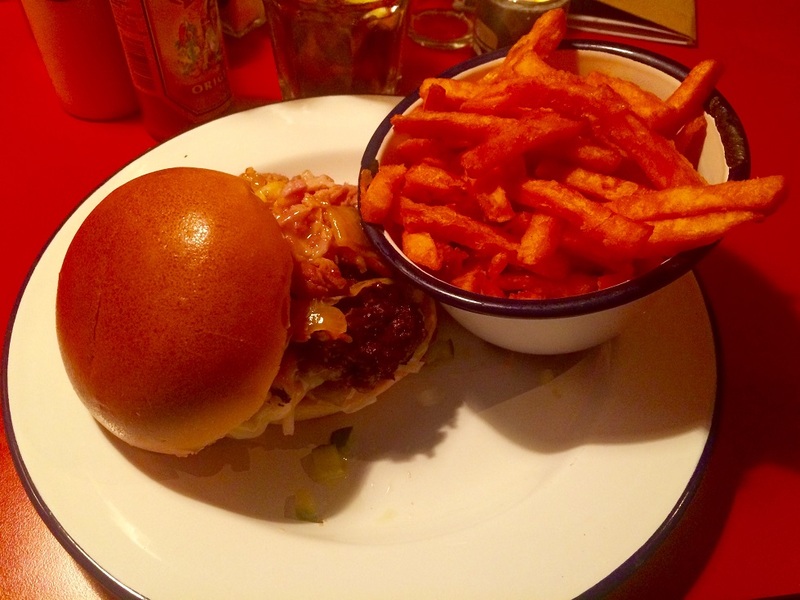 My latest favourite is Box Burger, located on the Strand Road, around the corner from the DART station. The burgers are simply amazing, with carefully chosen ingredients like blue cheese and barbeque onions, making perfect flavour combinations. For dessert lovers, I highly recommend the mini doughnuts – a churro style dessert dished up with soft serve ice-cream. This dessert alone is worth making the trip to Bray. The Harbour Bar was voted the Best Bar in the World by Lonely Planet in 2010 and is a must-visit pub if you’re staying in Bray. There are traditional Irish music sessions in the bar running Wednesday to Saturday and various bands playing in the lounge 5 nights a week too, but if you’re looking for a quieter spot, you can relax in the cosy snug. 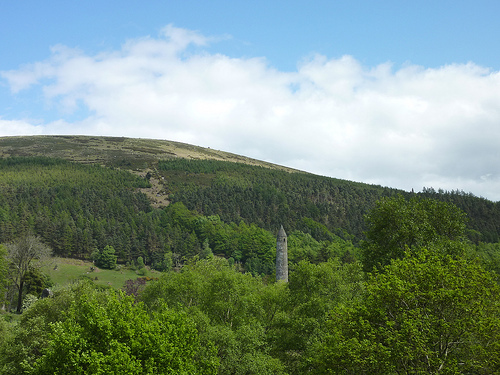 St. Kevin’s bus service runs frequently throughout the day and will take you all the way to Glendalough, in the east of the county. 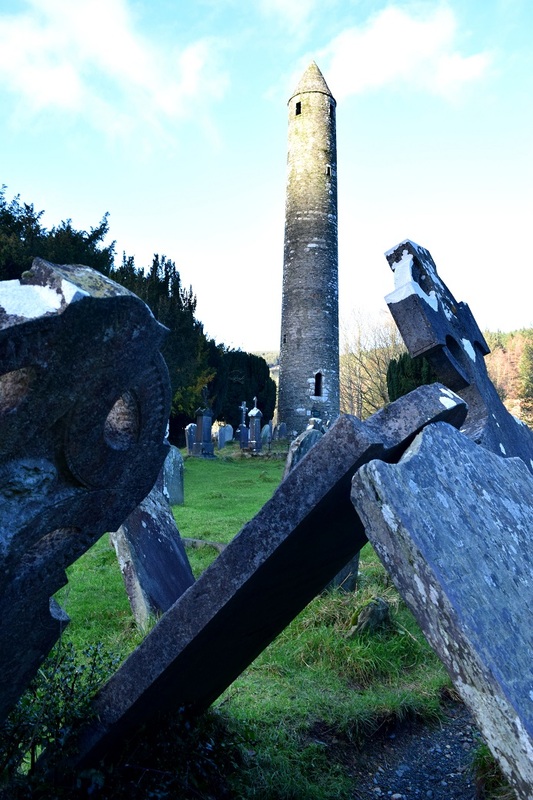 There are great hiking routes all around the two lakes but if you want something a little more easy-going, you can’t go wrong with an amble around the 6th century monastic settlement, which includes the impressive round tower, followed by coffee and cake at the Glendalough Hotel. On your way back to Bray, you can stop in Roundwood, one of the highest villages in Ireland and enjoy some tasty pub grub in the Coach House. 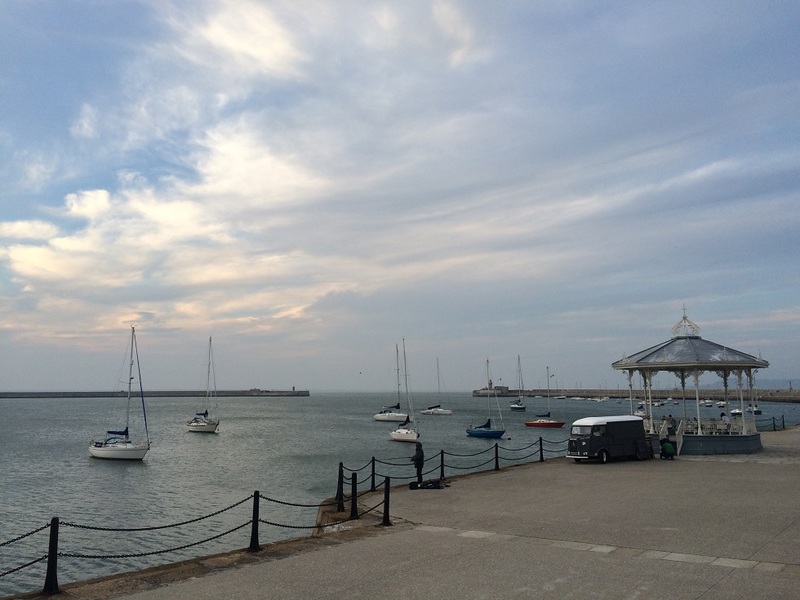 A 20 minute DART ride northbound from Bray will take you to Dun Laoghaire, where you can enjoy a famous Teddy’s ice-cream and walk along the beautiful East Pier, with its quaint bandstand. If you think it looks familiar, you might remember it from the film Michael Collins, where Liam Neeson is seen walking along a seaside promenade, featuring a band playing on a bandstand. Despite having lived here most of my life, a stroll along the promenade still never fails to astound me with how beautiful Bray is. It’s a great base for those wishing to explore Dublin while staying in a quieter location and still enjoying a variety of great dining and entertainment options. The seaside town has so much to offer foodies, families and lovers of the outdoors, you should definitely put Bray on your must-visit list when in Ireland.